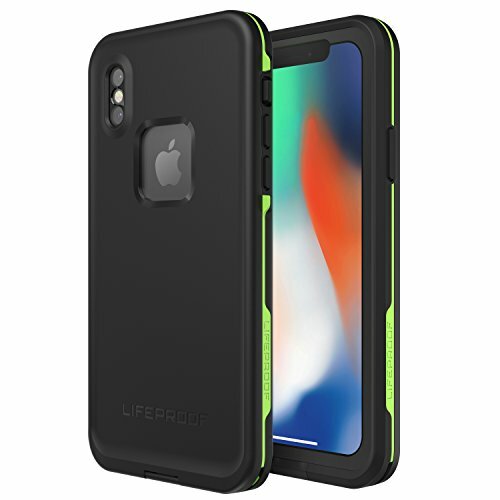 Color:NIGHT LITE (BLACK/LIME) With LifeProof FRĒ for iPhone X, you’re free to venture off the beaten path and come back with proof of your triumphs. WaterProof, DirtProof, SnowProof and DropProof, FRĒ braves the elements while blocking them from soaking circuits or clogging ports. What’s more, the integrated screen cover keeps your display pristine, and the custom design leaves every feature and function accessible. 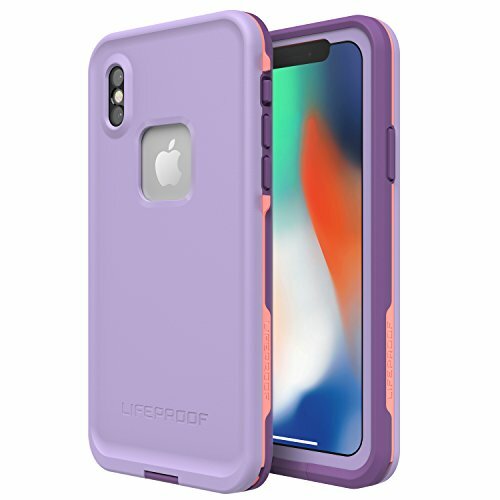 Color:CHAKRA (ROSE/FUSION CORAL/ROYAL LILAC) With LifeProof FRĒ for iPhone X, you’re free to venture off the beaten path and come back with proof of your triumphs. WaterProof, DirtProof, SnowProof and DropProof, FRĒ braves the elements while blocking them from soaking circuits or clogging ports. What’s more, the integrated screen cover keeps your display pristine, and the custom design leaves every feature and function accessible. Color:WIPEOUT (BLUE TINT/FUSION CORAL/MANDALAY BAY) With LifeProof FRĒ for iPhone X, you’re free to venture off the beaten path and come back with proof of your triumphs. WaterProof, DirtProof, SnowProof and DropProof, FRĒ braves the elements while blocking them from soaking circuits or clogging ports. What’s more, the integrated screen cover keeps your display pristine, and the custom design leaves every feature and function accessible. Color:BANZAI (COWABUNGA/WAVE CRASH/LONGBOARD) With LifeProof FRĒ for iPhone X, you’re free to venture off the beaten path and come back with proof of your triumphs. WaterProof, DirtProof, SnowProof and DropProof, FRĒ braves the elements while blocking them from soaking circuits or clogging ports. What’s more, the integrated screen cover keeps your display pristine, and the custom design leaves every feature and function accessible. Color:DROP IN (ABYSS/LIME/STORMY WEATHER) With LifeProof FRĒ for iPhone X, you’re free to venture off the beaten path and come back with proof of your triumphs. WaterProof, DirtProof, SnowProof and DropProof, FRĒ braves the elements while blocking them from soaking circuits or clogging ports. What’s more, the integrated screen cover keeps your display pristine, and the custom design leaves every feature and function accessible. With LifeProof FRĒ for iPhone 8, you’re free to venture off the beaten path and come back with proof of your triumphs. WaterProof, DirtProof, SnowProof and DropProof, FRĒ braves the elements while blocking them from soaking circuits or clogging ports. What’s more, the integrated screen cover keeps your display pristine, and the custom design leaves every feature and function accessible. 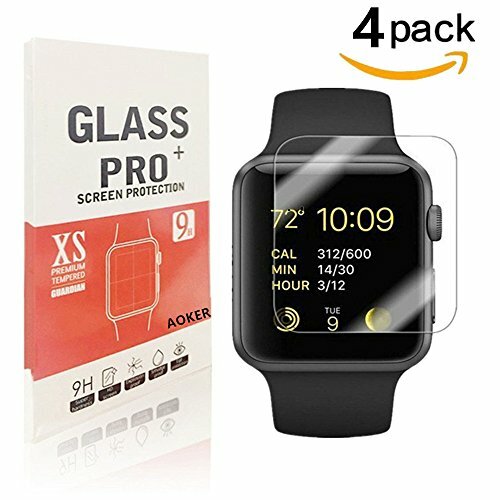 [Tempered Glass] Extreme clarity preserves the original screen brightness, Risk-Free Lifetime Replacement Warranty with AOKER. Escape the everyday with the go-anywhere NÜÜD + Alpha Glass for iPhone 7 Plus. 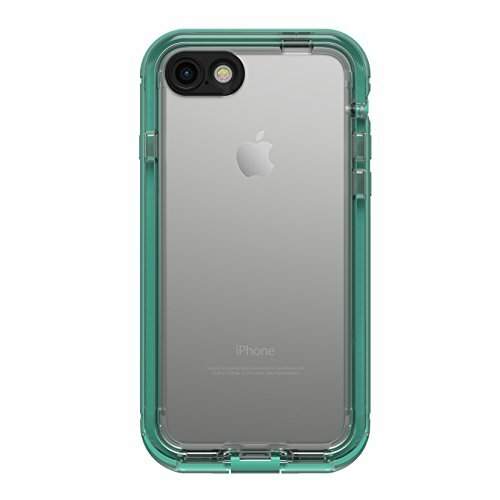 Waterproof, Dirt Proof, Snow Proof and Drop Proof, NÜÜD thrives where other cases fear to tread. It features a screen less design for direct touchscreen interaction and includes an Alpha Glass screen protector for defense against scratches and impacts. Plus, NÜÜD is all new for iPhone 7 Plus - now with a clear back, an enhanced audio experience and added display access. True to form, NÜÜD + Alpha Glass is also customized for a clean fit, minimal weight and full functionality. 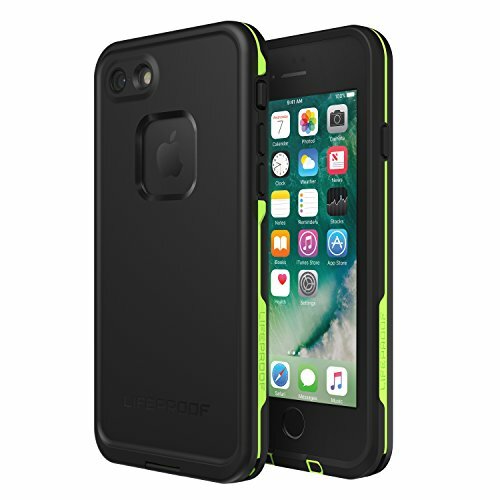 Experience the action with your device by your side with LifeProof NÜÜD for iPhone 7. Featuring screenless technology, NÜÜD delivers perfect clarity and direct interaction with your iPhone 7’s advanced touchscreen. 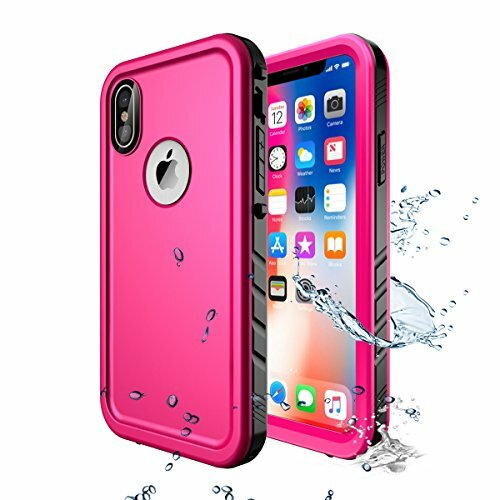 It’s also WaterProof, DirtProof, SnowProof and DropProof, so your phone thrives everywhere. And with its transparent back, it keeps your device on display when you’re in the moment. 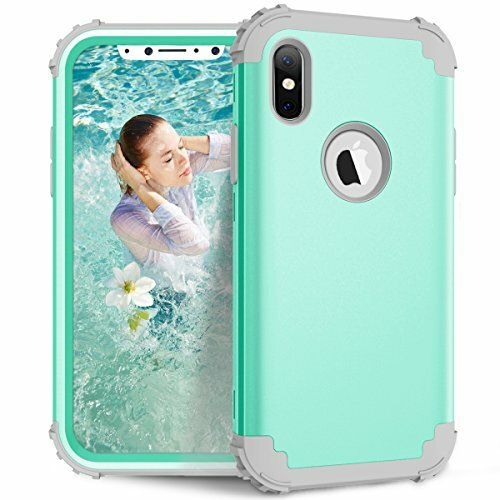 Only Compatible with Lifeproof Next Case - Apple iPhone X (case is not included). ADJUSTABLE rotating clip 180° for both right and left handed use. Built-in KICKSTAND stand feature is great for movies and hands free viewing. 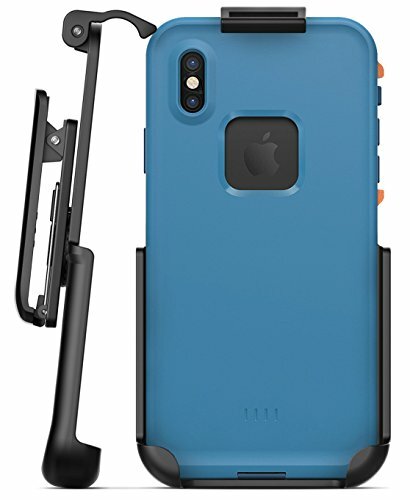 Encased Holster for Lifeproof Next Case / iPhone X Secure Fit Holster Every Spring top Belt clip comes complete with a secure-fit holster. The belt holster is designed to rotate both vertically and horizontally to match any user preference. Additional features include a soft microfiber lining and built-in kickstand that adds the perfect hands-free viewing solution. Key Features: ✔ Includes kickstand for a convenient hands-free viewing solution. ✔ The belt clip features a solid-core polycarbonate frame and non-slip rubberized grip finish ✔ The secure-fit top locking design makes mounting / dismounting a breeze. ✔ Rotating clip for vertical or horizontal use. 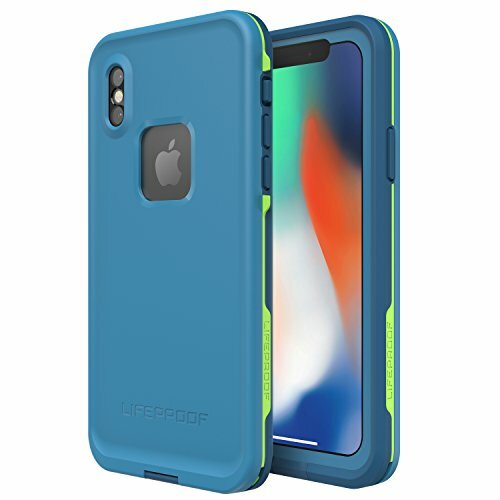 ✔ Protection for the iPhone X you can trust. Backed by the Encased Lifetime Guarantee. The Bar We Proudly Set. We measure every product by its ability to operate flawlessly over months and years of repeated use. We test and re-test every design to ensure the final version will ALWAYS meet this benchmark. That is the simple reason why our customers keep coming back for their new accessories. Quality Beyond The Product. We back every purchase with knowledgeable customer support and an unconditional "Lifetime Happiness Guarantee". If you are anything less than satisfied with your purchase our team will work with you until you are genuinely happy. Experience the Encased difference today. 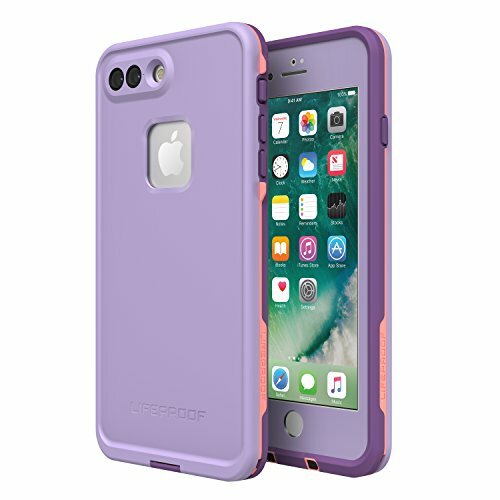 Color:CHAKRA (ROSE/FUSION CORAL/ROYAL LILAC) With LifeProof FRĒ for iPhone 8 Plus, you’re free to venture off the beaten path and come back with proof of your triumphs. WaterProof, DirtProof, SnowProof and DropProof, FRĒ braves the elements while blocking them from soaking circuits or clogging ports. What’s more, the integrated screen cover keeps your display pristine, and the custom design leaves every feature and function accessible. 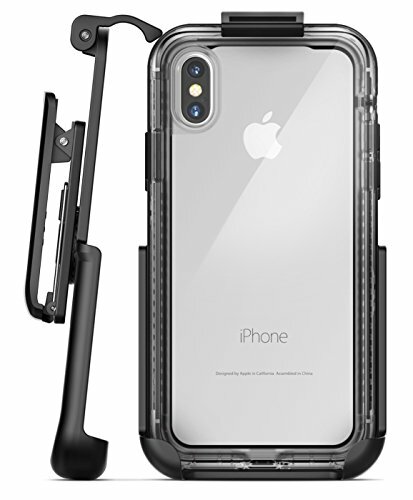 Encased Holster for Lifeproof Fre / iPhone X Every Spring top Belt clip comes complete with a secure-fit holster. The belt holster is designed to rotate both vertically and horizontally to match any user preference. Additional features include a soft microfiber lining and built-in kickstand that adds the perfect hands-free viewing solution. Key Features: ✔ Includes kickstand for a convenient hands-free viewing solution. ✔ The belt clip features a solid-core polycarbonate frame and non-slip rubberized grip finish. ✔ The secure-fit top locking design makes mounting / dismounting a breeze. ✔ Rotating clip for vertical or horizontal use. 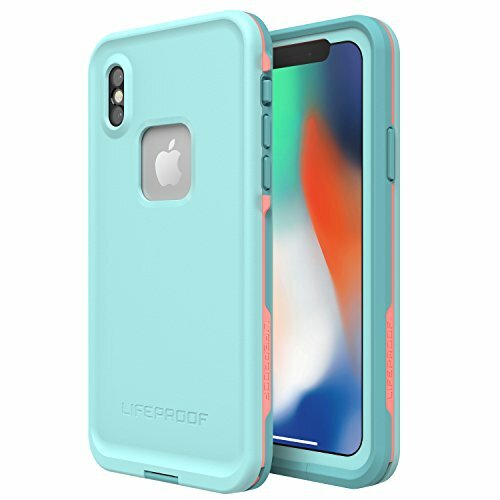 ✔ Protection for the iPhone X you can trust. Backed by the Encased Lifetime Guarantee. The Bar We Proudly Set. We measure every product by its ability to operate flawlessly over months and years of repeated use. We test and re-test every design to ensure the final version will ALWAYS meet this benchmark. That is the simple reason why our customers keep coming back for their new accessories. Quality Beyond The Product. We back every purchase with knowledgeable customer support and an unconditional "Lifetime Happiness Guarantee". If you are anything less than satisfied with your purchase our team will work with you until you are genuinely happy. Experience the Encased difference today. 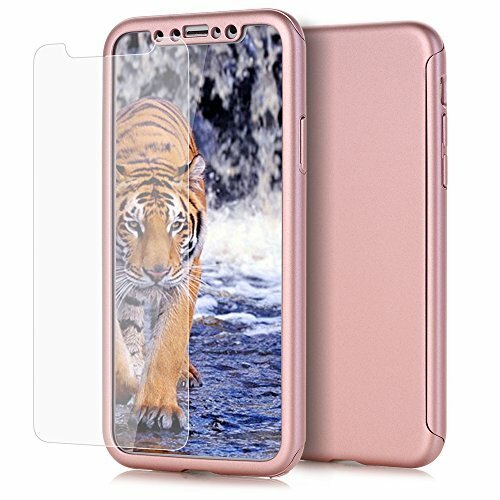 This product was designed for iPhone 6 Plus ONLY and is not compatible with other devices like iPhone 6s, also not compatible with 30-pin to Lightning Adapters or the majority of non-Apple branded USB to Lightning cables. 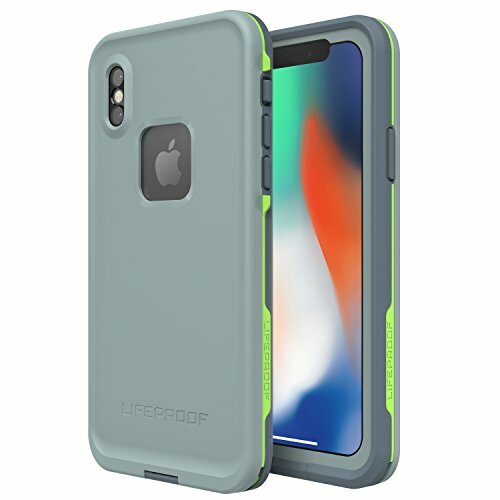 Proper installation of a LifeProof product is important to successful use so please review the installation video (included with photos on left) and check the user manual to ensure correct installation. Protection reinvented! Nuud takes smartphone protection and usability to new levels with the most advanced case design available. Nuud screen less technology, protects your device from plunges and fumbles - without the need for a screen cover. That way, you can use your device as intended, in ways and places never before possible. 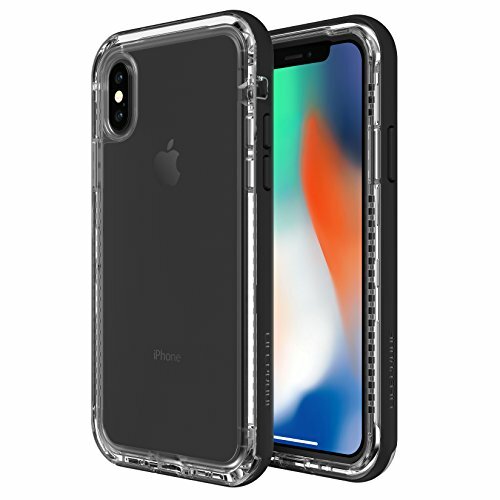 Product Description: 1.New designed for Apple iPhone X /iPhone 10 owners who prefer minimalist-style protection. 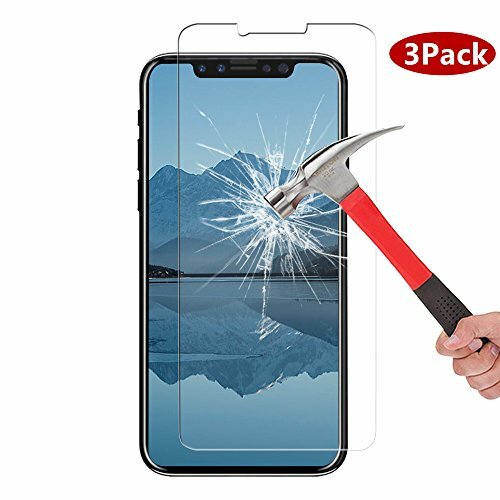 2.Protecting your device from shock drop and back cover scrached 3.Perfect cutouts allow you to maximize the functionality of your phone 4.Conveniently to access and remove Material:Hard Plastic + TPU Please Contact us if you have any quetions or need any help! We will provide the best service to you in 12 hours. Contents: 1 x AOKER Phone Case. Only Fit For iPhone X 2017 Release. Reinforced Corner Increase Shock Absorbing when your iPhone X (2017) is Dropping on the ground. 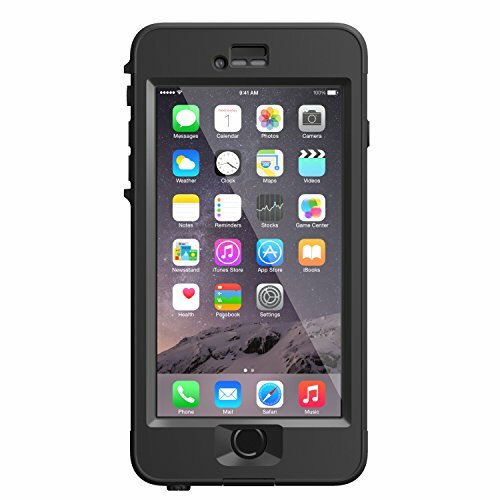 Rubberized Polycarbonate Armor outer hard case plus Silicone Inner layer cushions and shields your phone from damage. Specifically design Protects the core openings of the phone, including volume controls, power button, and headphone jack. Complete prevention of screen damages, screen and surface scratches, and wear-and-tear of normal uses. Lifetime warranty, VPR lifetime no-hassle warranty with friendly customer service provides peace of mind for you. Compatibility: Compatible with iPhone X 2017, allowing full access to touchscreen, camera, buttons, and ports. NOT COMPATIBLE any other Phone models. Features: 1.It is high quality and cheaper. 2.It will protect your Phone from scrapes and scratches. 3.The case is easy to apply and remove without any tools or damage! 4.The unique designs, superior quality material made more show your elegance and high quality temperament. 5.High Quality Material to use for a longer time. 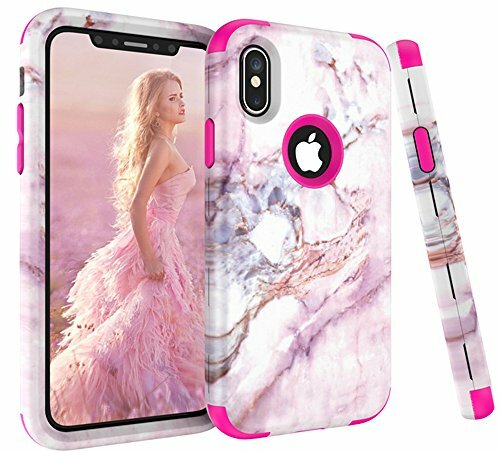 Package included: 1 X Fashion Case Cover for iPhone X 2017. Lifetime Warranty - from VPR warranty guarantees that your purchase is 100% risk-free. 9H hardness Anti-Scratch,Protects your screen from scratches, dust, scrapes, ware and reduce impact. Drop Protection - Full body 360 degree protection, Meets the MIL-STD-810G standard. 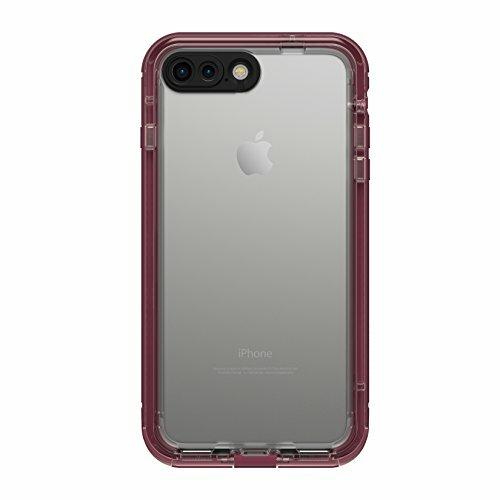 Everyday Protection-remains fully functional of the iphone x for daily use, including touch screen Sensitive and all side buttons and chargers. 100% seal, easy to use. Precise Design-Precise cutouts make easy access to all buttons, ports, speakers, and cameras Tactile buttons for quick responsiveness. 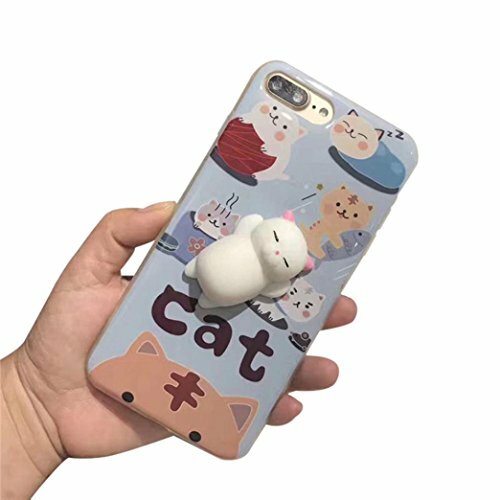 Compatible with Apple iPhone X / iPhone 10 2017. 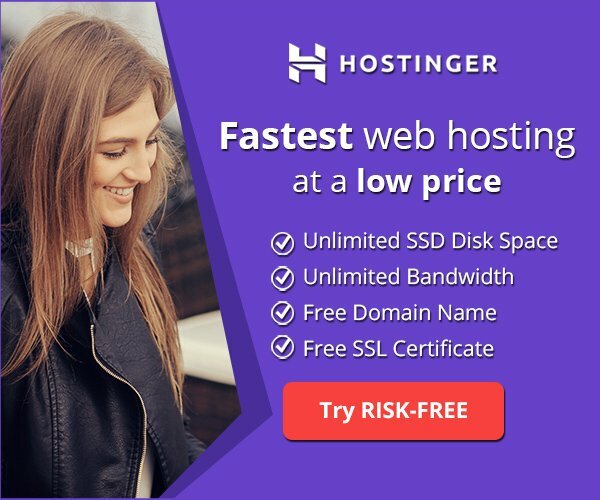 Ultra precise split-type design , have Aesthetic and Protect both; precise cut-out holes and minimalistic design delivers all the functional ports. This special case is made up of two parts: PC front case,the PC back. and with a screen protector as a gift. Very sturdy and well built .Micro-sand process,anti-sweat,anti-fingerprint that can perfectly protect your phone. The case made of PC material will not block the signal, Ultra-Thin Back Cover can fit your phone perfectly and keep high touch sensitivity. 12 Months Worry-free Product Guarantee for Every Purchase from VPR. Professional technical support and always satisfied customer service 7 days one week available.